A meteor streaked across the sky Saturday night in North Florida, creating a beautiful blue glow. 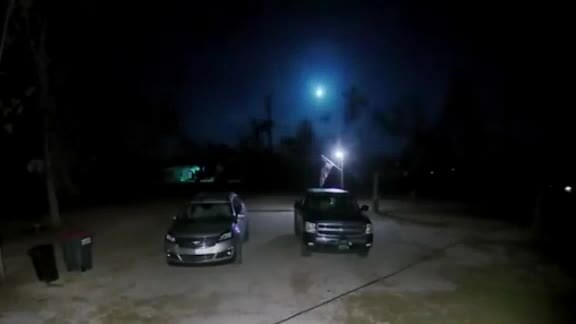 YOUNGSTOWN, Fla. — A meteor streaked across the sky Saturday night in North Florida, creating a beautiful blue glow. Video from Eric Shultz recorded in Youngstown, Florida, showed the cosmetic event light up the area as it zoomed over the Sunshine State. The meteor was also caught on the National Weather Service's lightning detector map in Tallahassee.